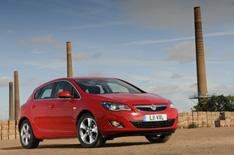 GM pledges 1.7 billion to Vauxhall/Opel | What Car? Vauxhall today received a major vote of confidence in its future with the news that parent company General Motors is to contribute a 1.7 billion funding package to its European operations, Vauxhall/Opel. This represents more than a tripling of the companys previous investment pledge and forms part of its commitment to the European viability plan. Under this plan, Vauxhall/Opel had estimated funding requirements of 3 billion to keep running. However, European governments had requested that GM contribute an additional 376 million to offset the potential impact of adverse market conditions. The new pledge from GM means that it will contribute more than half of the necessary funding, thereby reducing the requested total of loan guarantees from European governments from 2.4 billion to less than 1.8 billion. GMs commitment is the right course of action for Vauxhall/Opel and should clearly signal our determination to fix our business, said Nick Reilly, CEO of Vauxhall/Opel. Our call for the additional funding was approved by GMs senior management and supported by the GM board of directors. We hope that our strong commitment will be well received as a major milestone in our ongoing discussions about government guarantees to cover the remaining gap. GM chairman and CEO Ed Whitacre said, Beyond the purely financial aspects, we see this as a major step towards instilling renewed trust and confidence into Vauxhall/Opels customers, employees, business partners, unions, dealers and European governments.